Romanov, Emperor of Russia from 1825 - 1855. Nicknamed Nicholas of the Big Stick for his methods of repression. He was succeeded by Alexander II. Romanov, "Nicholas the Bloody", last emperor of Russia from 1894 - 1917. Nicknamed Nicholas the Bloody, after ordering the Bloody Sunday massacre in 1905. After living most of her life on the Eastern Seaboard, Linda Nicholson, Ph.D., director of the Women and Gender Studies program and the first Susan E. and William P. Stiritz Distinguished Professor in Women's Studies and History, both in Arts & Sciences, decided it was time for a major change. So after 25 years at the State University of New York-Albany, she came to Washington University. Nicholson first became interested in feminism in the late 1960s, but it wasn't until 1975 that she became fully immersed in feminism as an area of academic research. She earned a bachelor's degree in philosophy from the University of Pennsylvania, and a master's and a doctorate in the history of ideas program at Brandeis University. After Brandeis, Nicholson taught for a year at the University of Lancaster in northern England. She then returned to the United States to teach at SUNY-Albany. She received a residential fellowship at the Center for the Study of Values in Public Life at Harvard University's Divinity School in 1998. The previous year she received the Bread and Roses Award from the University of Albany for outstanding service on behalf of women. She was National Endowment for the Humanities Visiting Scholar in June 1992 at the State University of New York, Potsdam, and the previous year she received a Rockefeller Foundation Humanist in Residence Fellowship at the Center for Research on Women at Duke University and the University of North Carolina, Chapel Hill. Her first book was Gender and History: The Limits of Social Theory in the Age of the Family. In it, Nicholson argues that in the history of Western political philosophy, there had been a significant problem: Some of the major contributors to that history had not recognized that the relationship between private and public life was a historically changing relationship. They took the existing form of that relationship, the form found in their own societies, and assumed it was natural. Also while at Albany, Nicholson developed and edited the 32-volume series Thinking Gender, which is often credited with shaping the emerging discipline feminism as a political philosophy. In her career, she has written two books and more than 70 articles and reviews. University lecturer. At the beginning of the Cultural Revolution, a poster he made of Mao was disseminated and became famous. German philosopher, proponent of Voluntarism, a founder of modern irrationalism and an early Existentialist. Nietzsche sought to unmask the root motives that underlie traditional Western religion, morality, and philosophy, and exerted considerable influence over all aspects of culture in the twentieth century. Nietzsche was born in Röcken, a village in Prussian Saxony. His home was a stronghold of Lutheran piety. His paternal grandfather had published books defending Protestantism and had achieved the ecclesiastical position of superintendent; his maternal grandfather was a country parson; his father, Carl Ludwig Nietzsche, was appointed pastor at Röcken by order of King Friedrich Wilhelm IV of Prussia. His father died in 1849, before Nietzsche's fifth birthday, and he spent most of his early life in a household consisting of five women: his mother Franziska, his younger sister Elisabeth, his maternal grandmother, and two maiden aunts. In 1850 the family moved to Naumburg on the Saale River, where Nietzsche attended a private preparatory school. In 1858 he earned a scholarship to Schulpforta, Germany's leading Protestant boarding school where he received an outstanding classical education, and, having graduated in 1864, went to the University of Bonn to study theology and classical philology. Despite efforts to take part in the university's social life, the two semesters at Bonn were a failure, owing chiefly to acrimonious quarrels between his two leading classics professors, Otto Jahn and Friedrich Wilhelm Ritschl. Nietzsche sought refuge in music, writing a number of compositions strongly influenced by Robert Schumann, the German Romantic composer. In 1865 he transferred to the University of Leipzig, joining Ritschl, who had accepted an appointment there. Nietzsche began military service in 1867, where he sustained an injury, and resumed his studies in Leipzig in 1868. During the years in Leipzig, Nietzsche discovered Arthur Schopenhauer's philosophy, met Richard Wagner, and began his lifelong friendship with Erwin Rohde. In 1869 the University of Leipzig conferred a PhD on Nietzsche without dissertation, on the strength of his published writings, and the University of Basel appointed him extraordinary professor of classical philosophy. 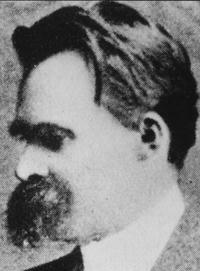 The following year Nietzsche became a Swiss citizen and was promoted to ordinary professor. Nietzsche, after the outbreak of the Franco-Prussian War, obtained leave to serve as a volunteer medical orderly in August 1870. Within a month, he contracted dysentery and diphtheria, which ruined his health permanently. He returned to Basel to resume teaching, but ill health persecuted him. During these early Basel years Nietzsche's ambivalent friendship with Wagner ripened, but Wagner's increasing exploitation of Christian motifs, as in Parsifal, coupled with his chauvinism and anti-Semitism proved to be more than Nietzsche could bear. By 1878 the breach between the two men had become final. Nietzsche's first book, The Birth of Tragedy from the Spirit of Music (1872), argued that Greek tragedy arose out of the fusion of what he termed Apollonian and Dionysian elements and that Socratic rationalism and optimism spelled the death of Greek tragedy. Greeted by stony silence at first, it became the object of heated controversy. In 1877 he set up house with his sister and Peter Gast, and in 1878 his aphoristic Human, All-Too-Human appeared. Seriously ill, half-blind, in virtually unrelenting pain, he lived in boarding houses in Switzerland, the French Riviera, and Italy, with only limited human contact. His friendship with Paul Rée was undermined by 1882 by their mutual affection for Lou Salomé; (mistress of Rainer Maria Rilke, and confidant of Sigmund Freud) as well as by his sister Elisabeth's jealousy. Nietzsche's Thus Spoke Zarathustra, was published between 1883 and 1885, partly at his own expense and received little attention. His attempts to set forth his philosophy in more direct prose, in the publications in 1886 of Beyond Good and Evil and in 1887 of On the Genealogy of Morals, also failed to win a wide audience. Nietzsche's final lucid year, 1888, was a period of supreme productivity, publishing many works, including Ecce Homo, a reflection on his own works and significance. Twilight of the Idols appeared in 1889, The Anti-Christ and Nietzsche against Wagner were not published until 1895, the former mistaken as book 1 of The Will to Power. Ecce Homo was withheld from publication until 1908. Nietzsche collapsed in the streets of Turin, Italy, in January 1889, having lost control of his mental faculties completely. Bizarre but meaningful notes he sent immediately after his collapse brought Franz Overbeck to Italy to return Nietzsche to Basel. Nietzsche spent the last 11 years of his life in total mental darkness, first in a Basel asylum, then in Naumburg under his mother's care and, after her death in 1897, in Weimar in his sister's care. He died on Aug. 25, 1900 of general paralysis caused by syphilis. The association of Nietzsche's name with Fascism owes much to the use made of his works by his sister Elisabeth, married to a leading anti-Semite, Bernhard Förster. Elisabeth maintained ruthless control over Nietzsche's literary estate, produced collections of his "works" consisting of discarded notes, such as The Will to Power (1901), and even committed petty forgeries. Nietzsche's writings fall into three well-defined periods. The early works are dominated by a Romantic perspective influenced by Schopenhauer and Wagner. The middle period, reflects the tradition of French aphorists, extoling reason and science, experiments with literary genres, and expresses Nietzsche's emancipation from his earlier Romanticism and from Schopenhauer and Wagner. In his mature writings Nietzsche was preoccupied by the origin and function of values in human life. He was especially interested, in analysing the fundamental cultural values of Western philosophy, religion, and morality, which he saw as expressions of the ascetic ideal. Nietzsche held that common to traditional religion and philosophy was the unstated but powerful motivating assumption that existence requires explanation, justification, or expiation. Both denigrated experience in favour of some other, "true" world. Nietzsche's critique of traditional morality centred on the typology of "master" and "slave" morality. By examining the etymology of the German words gut (good), schlecht (bad), and böse (evil), Nietzsche maintained that the distinction between good and bad was a non-moral reference to those who were privileged, the masters, as opposed to those who were base, the slaves. The history of 20th-century philosophy, theology, and psychology are unintelligible without Nietzsche. The German philosophers Scheler, Jaspers and Heidegger, the French philosophers Camus, Derrida and Foucault owe much to Nietzsche. The psychologists Adler and Jung were deeply influenced, as was Freud; novelists like Thomas Mann, Hermann Hesse, André Malraux, André Gide, the poets and playwrights George Bernard Shaw, Rainer Maria Rilke, Stefan George, and William Butler Yeats, among others. Nietzsche is certainly one of the most influential philosophers who ever lived; and this is due not only to his originality but also to the fact that he was one of the German language's most brilliant prose writers. Further Reading: See the Nietzsche Reference Archive. Dutch socialist. Founder of the Dutch Social Democratic Labor Party. Translated and condensed Capital in Dutch. 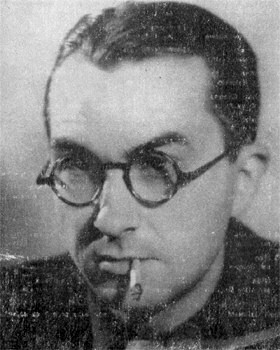 A founder of the anarcho-syndicalist CNT, Andrés Nin was a founding member of the Spanish Communist Party, with Joaquin Maurin, co-founder of the POUM, and while in Russia he became a supporter of the Left Opposition and for a time secretary to Trotsky. After the Popular Front victory, Nin was Minister of Justice, but he was disappointed by the policies of this government. After its founding in 1935, POUM grew rapidly and by the end of 1936 it had 30,000 active members. In December 1936, after the Soviet Consul, Antonov-Ovseenko, threatened the suspension of Russian aid, Luis Companys removed Nin and his supporters from the government. In June 1937, Nin and most of the leadership of POUM were arrested and sent to a Soviet camp at Acala de Henares near Madrid. Andrés Nin was tortured to death. Son of a railroad engineer, Nizan attended one of France’s most prestigious high schools the Lycée Henri IV, where he met and became friends with Jean-Paul Sartre. So close was their friendship that, as Sartre was later to recount, they were often confused for each other. After attending the Ecole Normale Superieure for two years, he spent the years 1926-27 in Aden as a tutor, which provided the material for perhaps his best known book, “Aden, Arabie” (1931). The following year he published his attack on bourgeois philosophy and philosophers, “Les Chiens de Garde,” and then in 1933 “Antoine Bloyé,” a sympathetic fictionalized account of his father’s life. 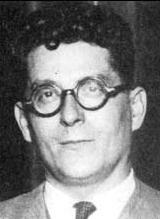 He joined the French Communist Party (PCF) in 1927, and began writing for and editing various Communist publications . He spent the year 1934 in Moscow at the Marx-Engels Institute, participating in the first congress of the Union of Soviet Writers. He was head of the foreign politics section of the Communist paper “Ce Soir” from 1937 -39, and on September 25, 1939 he left the PCF after the signature of the Ribbentrop-Molotov pact. Mobilized, he was killed at Dunkirk on May 23, 1940. Vilifed by the PCF after his resignation from the party, the campaign against him reached its apogee in 1946-47, when he was accused of having betrayed the party, his treason retrospectively read into the novels he had initially published to praise from the PCF. In 1960 Maspero published a new edition of “Aden, Arabie,” with a justly famous preface by Sartre. In 1967, the Maoist cell in Jean-Luc Godard’s film “La Chinoise” took “Aden, Arabie” as its name, in Nizan’s honor.